Until this series, Pakistan hadn’t lost a match in UAE since 2010. But, SL ended that winning streak of Pakistani team convincingly. Before this series, SriLanka had played India and lost the tournament. This must have hurt them and forced them to improve their performance. Probably, due to it, they were successful in registering back to back 2 victories. 3 Pakistan vs Sri Lanka Prediction: Who Will Win Today? These two victories must have increased Sri Lanka’s confidence. However, the attention now shifts to the 5-match ODI series. The first game is to be played in Dubai today at Dubai International Cricket Stadium. It starts at 4:30 pm IST while the toss will take place 30 minutes before it. In the last 50-overs series, Pakistan beat India and won the ICC Champions Trophy 2017. Sri Lanka was beaten by India 0-5. The viewers can watch the PAK vs SL live broadcast on Sony Ten Sports network tv channel. They will be provided with both English and Urdu commentary. 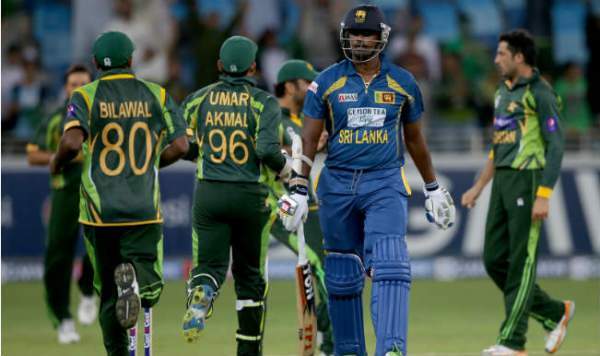 Pakistan vs Sri Lanka Prediction: Who Will Win Today? Pakistan to win. Let’s know your views and thoughts. Come back for Pakistan vs Sri Lanka live streaming, 1st ODI live cricket score, ball by ball updates, commentary, scorecard, match result, the man of the match, video highlights, and much more. Don’t forget to share it on social media sites.